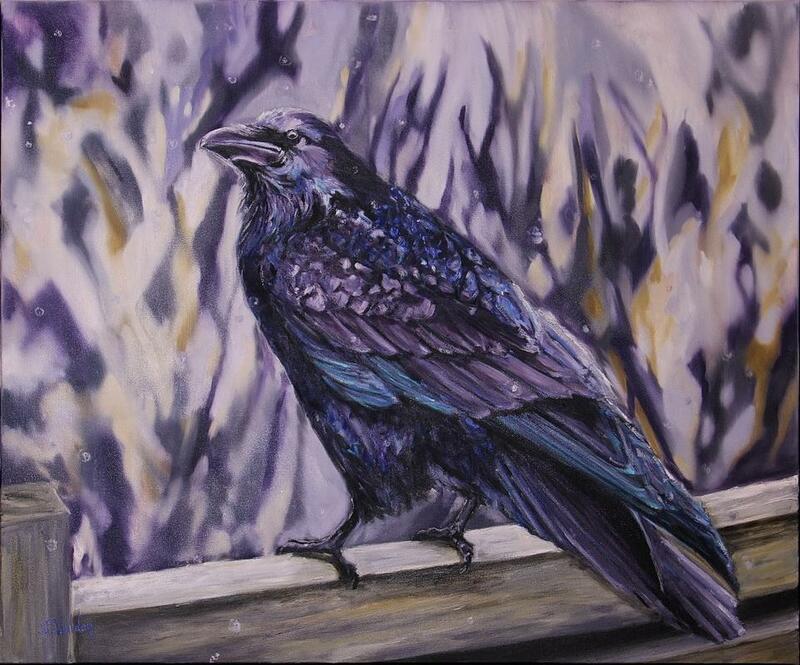 Jennifer Walden has become known for her robust paintings of animals in the northern landscape, accomplished in richly textured paint. Over the past few years Jennifer has been studying the techniques Italian master painters used to render light. The result of these studies is a fusion of her interest in portraying northern subjects with the lessons she has learned through her observations. In Walden’s most recent work she continues to focus on the character and force of the animals she portrays, and has been experimenting with background effects. In her painting, Frosted Bison, or her fox painting, Frozen Lake Moment, she has translated the sfumato effect of Italian painting into a background of snow and frost suspended in the atmosphere. In other works she has broken the background into spheres of colour that suggest but obscure the setting or created a boldly abstract background which push the animals to the extreme fore, as is found in her painting, Black Bear. All works are available immediately. 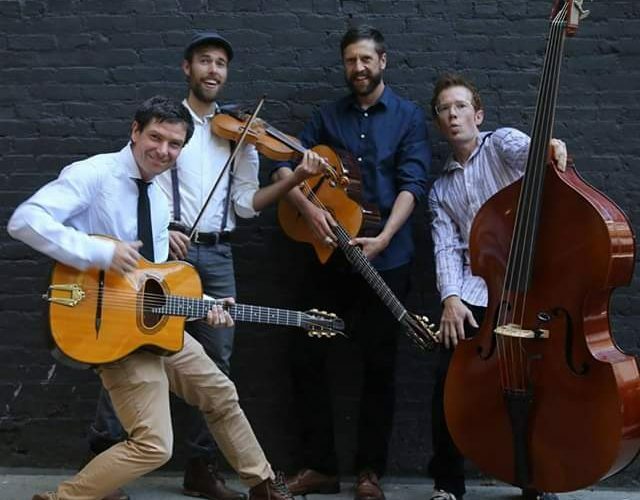 The Pumps are a gypsy jazz inspired band formed in early 2017. Based in Vancouver, BC, the founding members are Callum Paterson on guitar and vocals, Forest Borch on violin, Hamish Nicholson on guitar, and Tim Mathias on bass. The name is derived from the signature strumming style of gypsy jazz known as “le pompe”, that gives this music its distinctive swing. Tired of being the only person who gets to hear your own sweet vocals stylings? 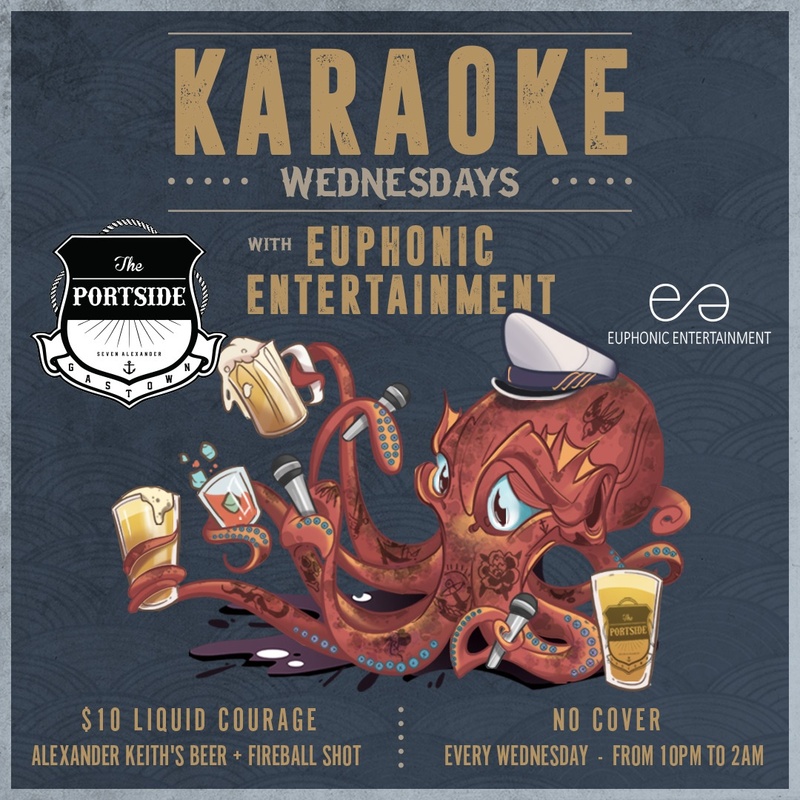 Have no fear, The Portside is bringing Euphonic Entertainment in to host Karaoke Wednesdays weekly! Check out their Songbooks here. Join us on THURSDAY MARCH 28 from 5 to 7pm at 50 Water Street as we welcome Omar Gandhi to our showroom for a special presentation on his firm’s work. 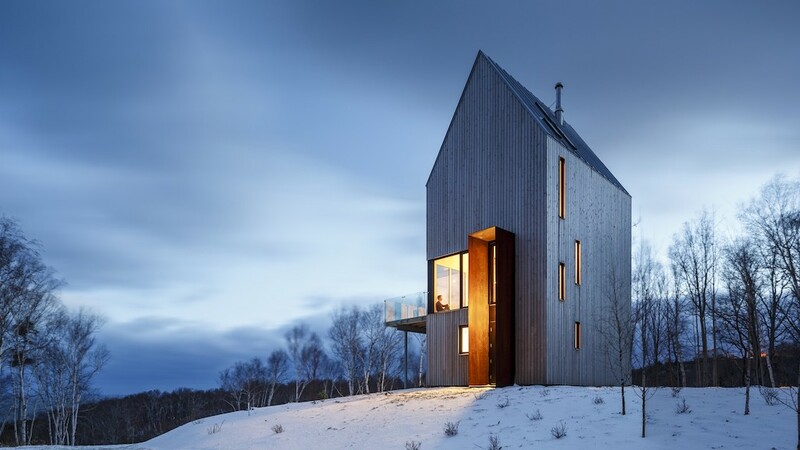 Omar Gandhi is the Principal of Omar Gandhi Architect, an architectural practice founded in 2010 with small teams in both Halifax and Toronto. The work of its two studios – OG Halifax and OGTO – has garnered much National and International attention in the young practice’s short history. In its early years, the studio was awarded the Canada Council for the Arts Professional Prix de Rome, was included in Wallpaper* Magazine’s Architects Directory, and Omar himself was named as one of Monocle Magazine’s ‘Most Influential Canadians’. Omar was chosen as one of the Architectural League of New York’s ‘Emerging Voices’ of 2016 and just this past semester, was appointed as the Louis I. Kahn visiting Assistant Professor in Architectural Design at the Yale School of Architecture. 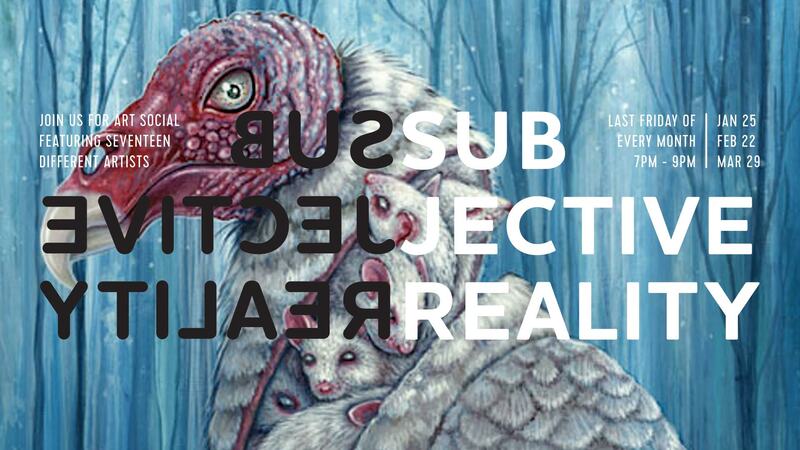 Our current artist showcase features works from 17 different artists in a collaborative showcase based on the theme: “Subjective Reality”. Perception is filtered by individual experiences. We invited artists to explore how one person’s reality may differ from others, due to their subjective experiences. What is real for you, may not be real for someone else. How is your reality subjective? Limited prints available for purchase only at Art Social events. The Art Social is a FREE ongoing monthly event. Hosted at Liquid Amber Tattoo & Art Collective located in Gastown Vancouver at 62 Powell Street. 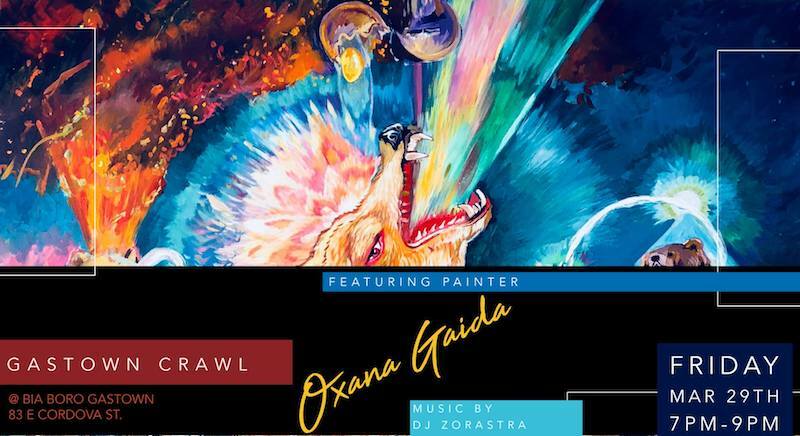 As part of #gastowncrawl, Bia Boro is hosting an exhibition with works by local artist, Oxana Gaida. The evening includes a fashion show featuring the latest from Bia Boro’s 2019 Spring/Summer Collection, with an eclectic soundtrack spun by DJ Zorastra. Rosé will be poured to make the night sweeter still. The event is free. 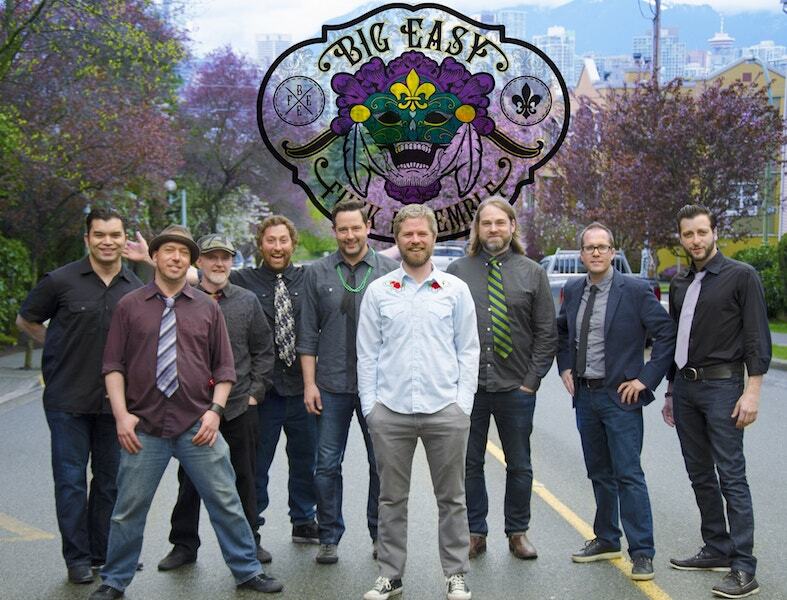 Big Easy Funk Ensemble celebrates the amazing variety of music that has grown out of the Jazz, Blues and Snazzy Grooves of New Orleans. The 9 member band includes a 3-piece horn section comprised of Andrew Benton on Sax, Kevin Tang on Trombone and Ryan Naso on Trumpet. The rhythm section includes Reece Worth on Guitar, Eric Stephenson on Bass, Tyler Gibson on Keyboards & Organ, Ryan Davis on Drums, Jeffrey Kornblum on Percussion, and last but not least the mesmerizing Chris Berry on Vocals. 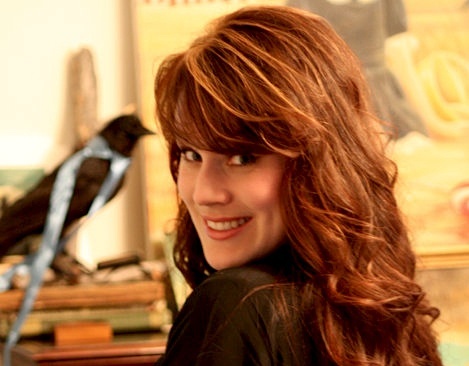 Old Country, Ragtime & Swing with Kelly Haigh & the Do Rites. Get the latest from the neighbourhood by signing up for Gastown’s official newsletter.